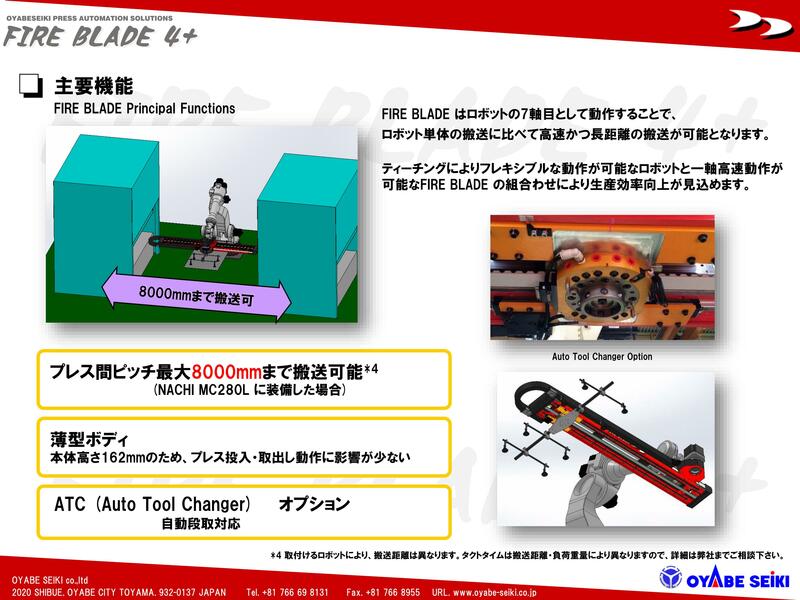 Our core technology cultivated by our strong imagination. 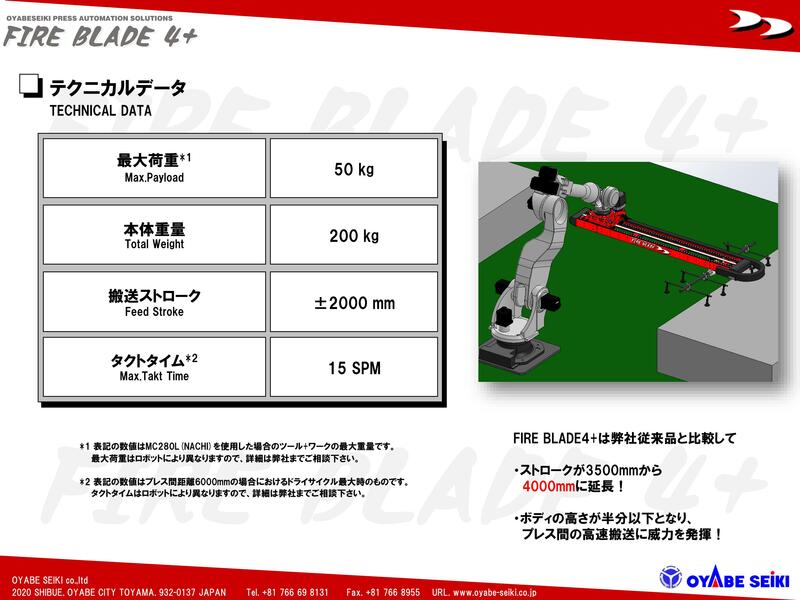 FIRE BLADE is equipped on a general purpose robot and can run on a 6m conveyance stroke and at a maximum high speed conveyance of 15SPM. The name originates from the speedy motion fire spitting out. 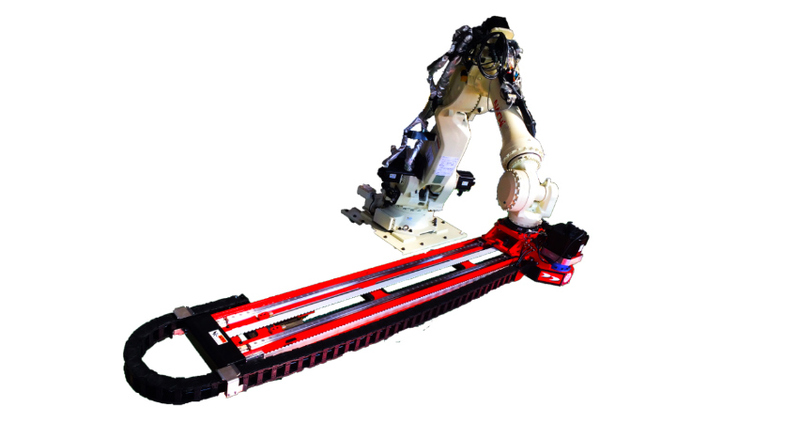 *1 The Max payload include a weight of tooling and is based on the NACHI MC280L robot model. 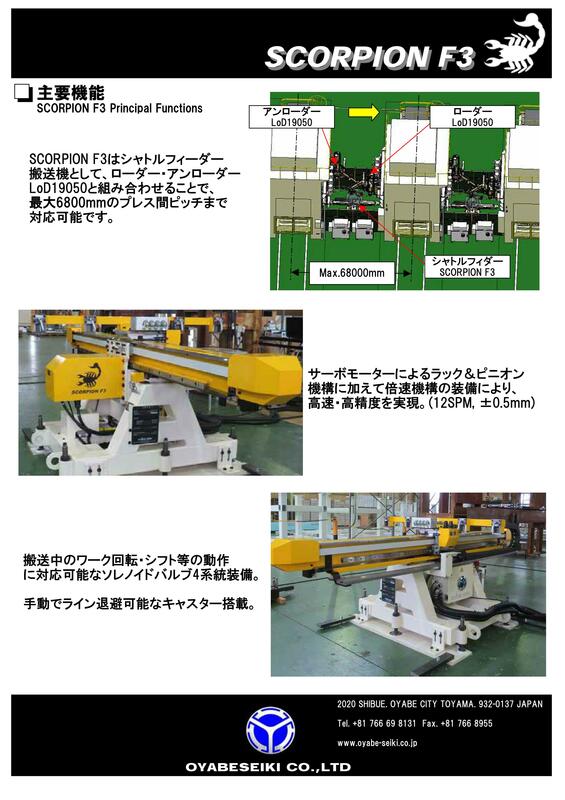 Since the maximum load depends on the robot, for more information please contact Oyabe Seiki. 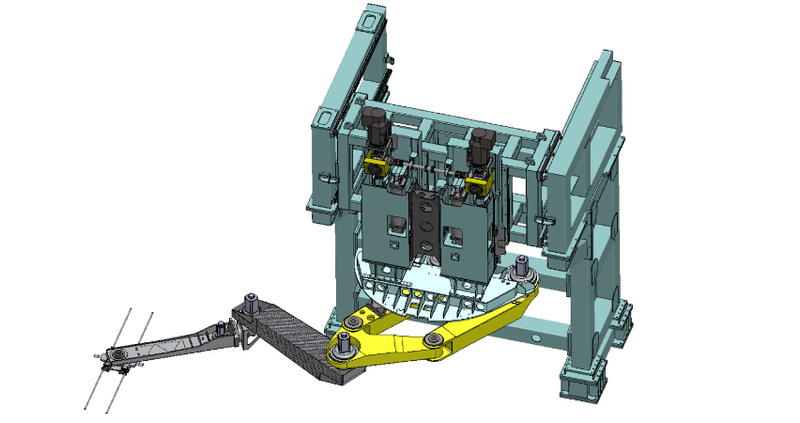 *2 Data is derived from a dry cycle with a distance of 600mm between presses. 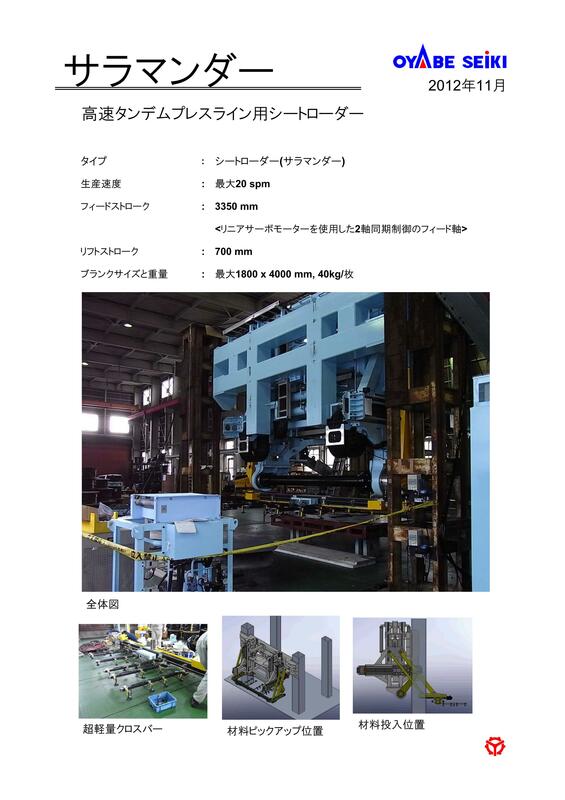 Since maximum tact time varies depending on the robot, please contact Oyabe Seiki. 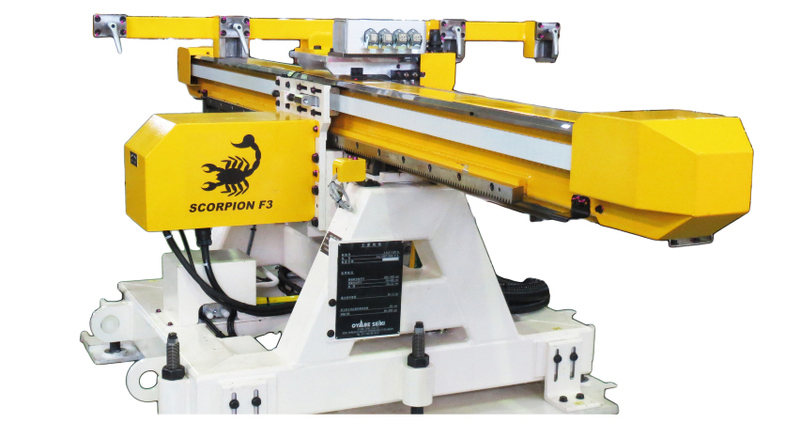 SCORPION is a shuttle feeder that runs at a maximum 12SPM conveyance speed and a conveyance distance of 2m. The name originates from the motion of a scorpion’s tail. 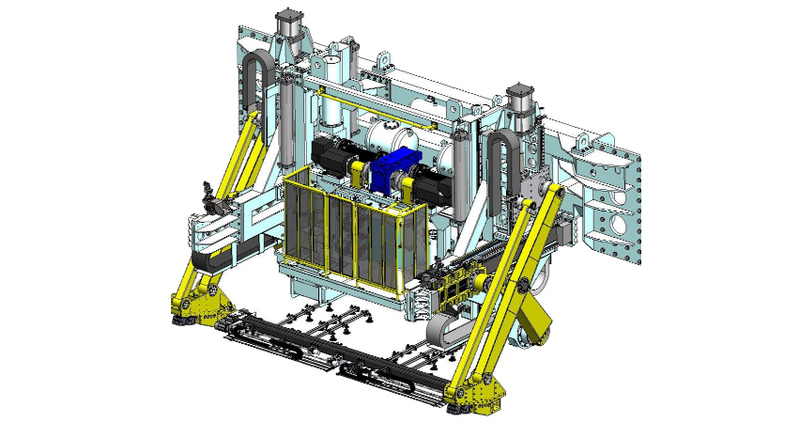 *1 The value of Max Payload is maximum weight of conveyable materials. There are cases that depend on the shape of materials where SCORPION can’t convey it. Please ask us for details. *2 The value of Max Tact Time is maximum tact time. 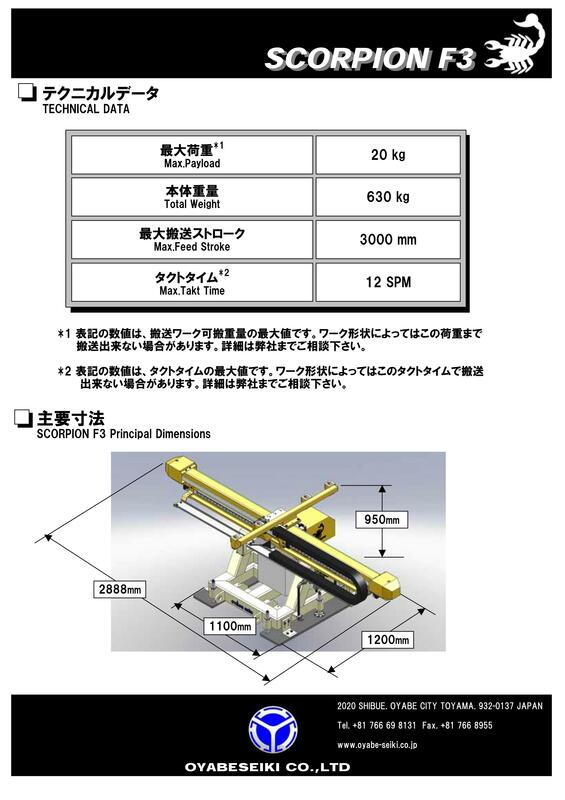 There are cases depend on the shape of materials where SCORPION can’t convey it on this tact time. Please ask us for details. 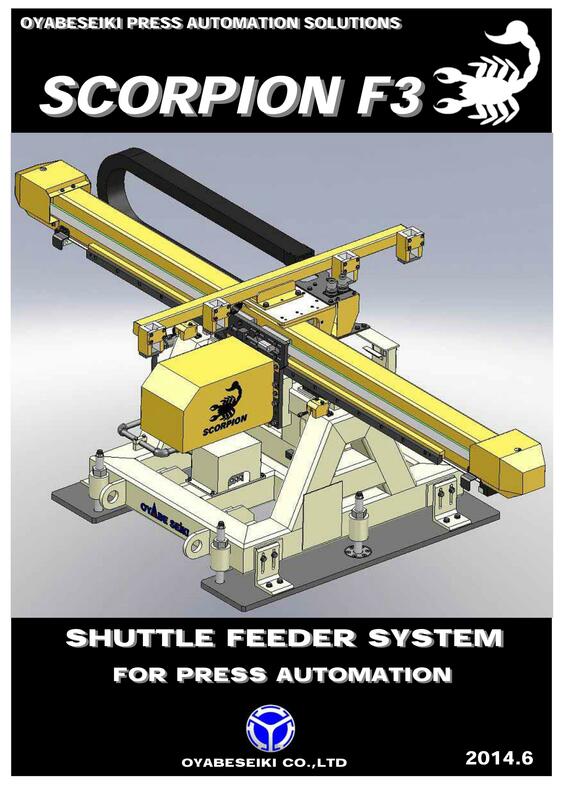 SALAMANDER is a sheet loader used in tandem press lines that reaches a maximum production speed of 20SPM. 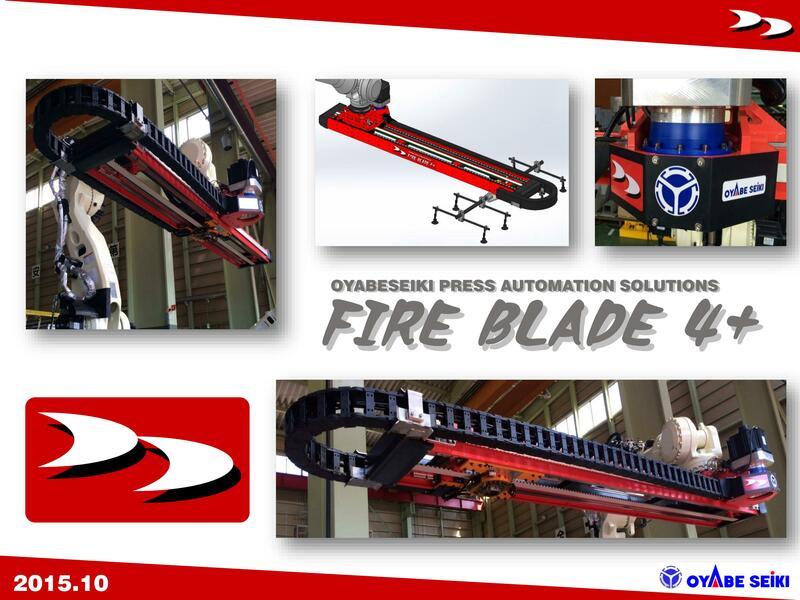 The name originates from its strong and speedy motion. 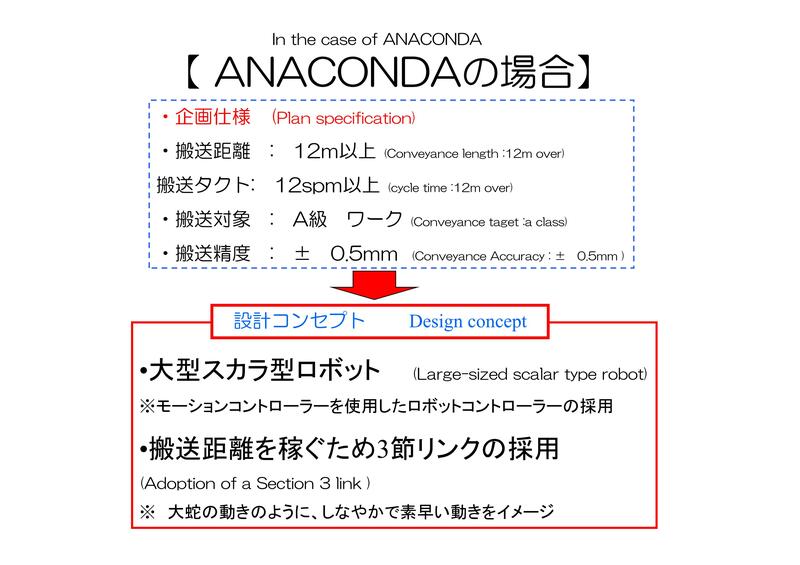 ANACONDA is a SCARA type robot that is able to realize 12m conveyance distance. 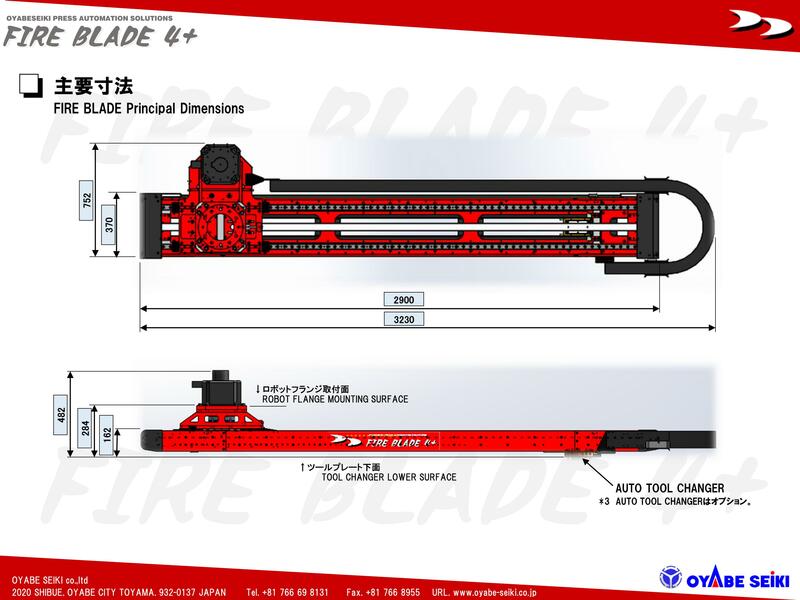 The name originates from its motion like a large snake.